My friends have a hard time believing I don't eat chocolate, take coffee, bread, cakes or any kind of pastries. It's just now my thing. The only sugary obsession I have is only for ice-cream with brownies or waffles or bananas!, Just bring me for ice-cream and I will be happy *beams*. This month it's all about ice-cream with me, maybe that because it makes me happy. I try not to eat ice-cream because I am already a cute round kitty so if I do, I'll likely go for really good ice-cream that's worth the gobble down. 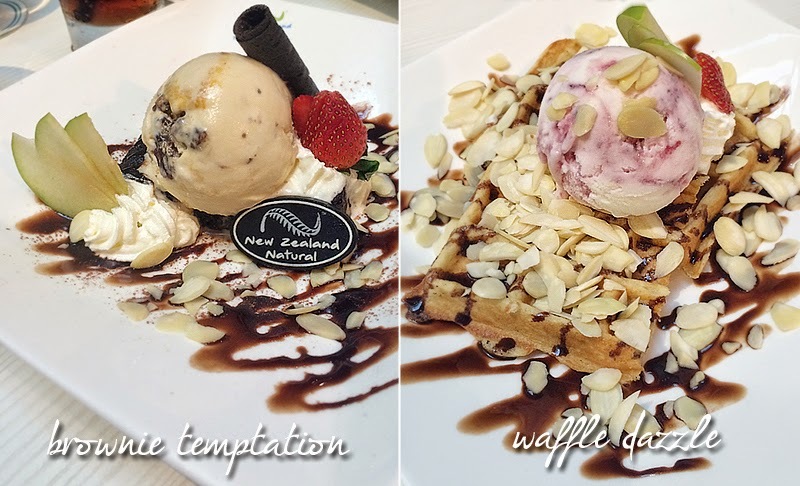 One of my favorite ice-cream parlor would be New Zealand Natural Curve because they serve premium ice-cream without artificial colors or flavors. 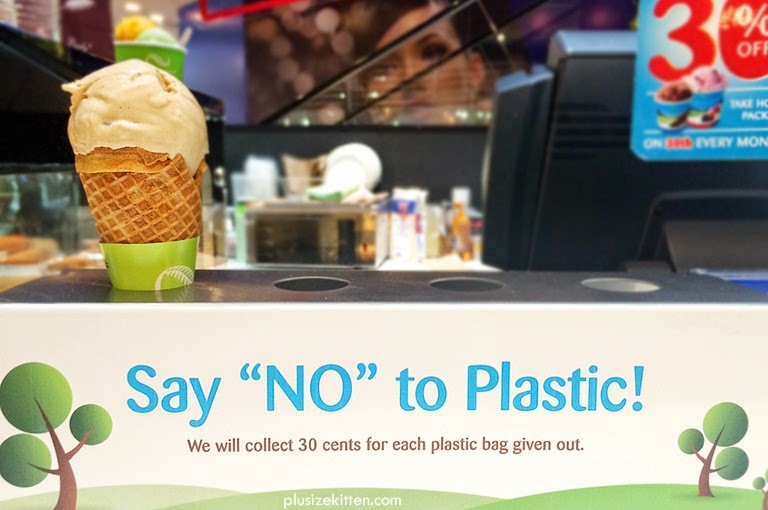 Their ice-cream come in full-cream flavors while those like me who worries about their waistline can go for the low-fat ice-creams, 97% fat-free frozen yogurts or 99% fat-free sorbets. 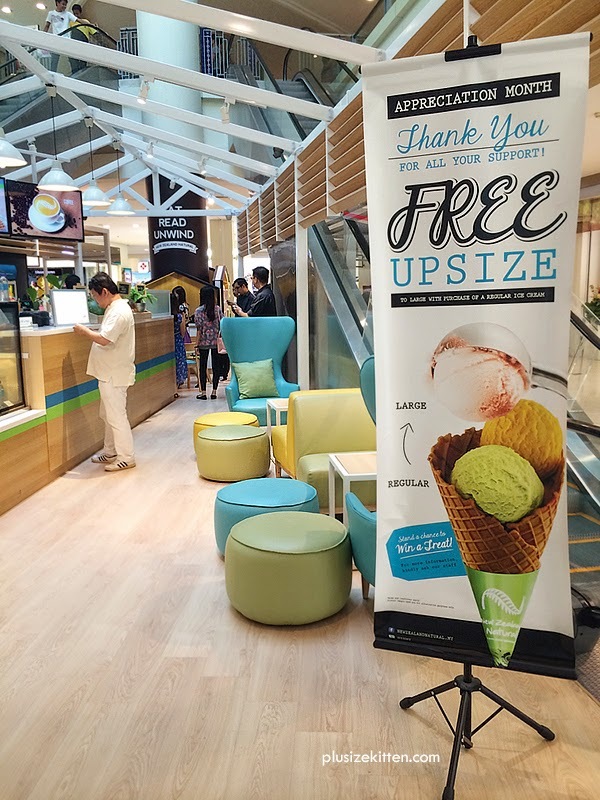 I never failed to grab a cone whenever I visit Curve, couple with their store promotions that's even harder to resist, e.g check out their weekday promotions! 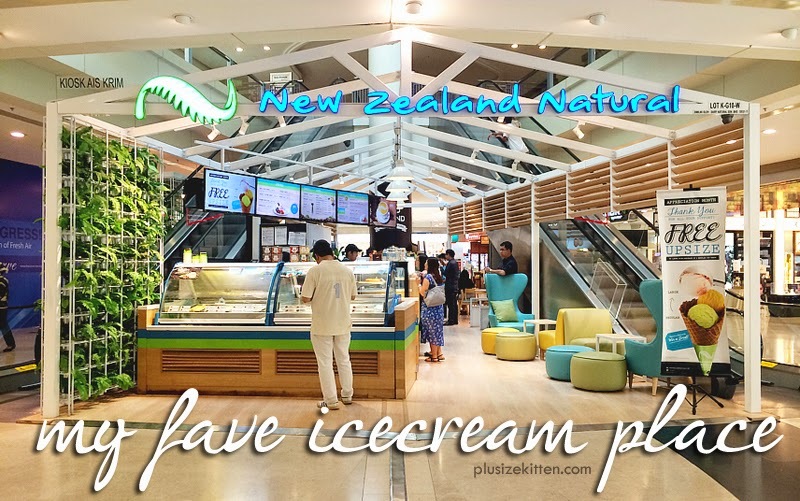 Besides ice cream, New Zealand Natural offers a wide variety of food if anyone is hungry and cold desserts including milkshakes, thick shakes, 100% pure fruit juices, and sundaes. 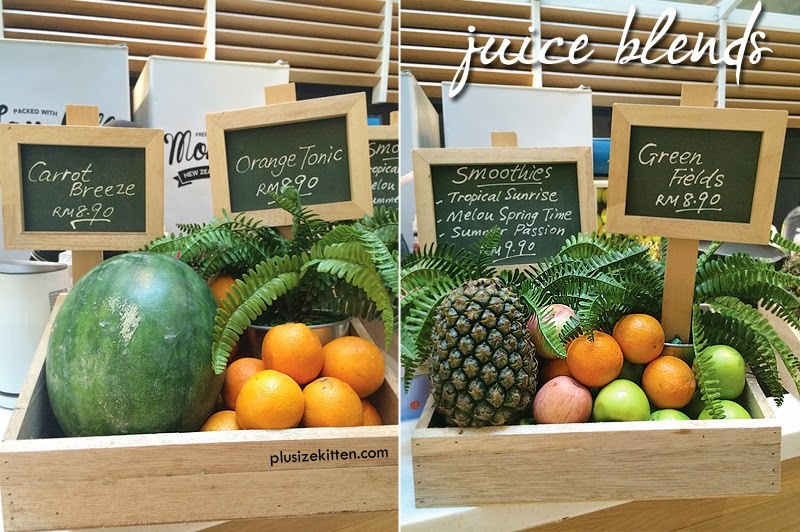 I'm going to share to you today what I had with my friends during a chillax session at the all-fun New Zealand Natural outlet at Curve. this is a family cafe, babies welcome! 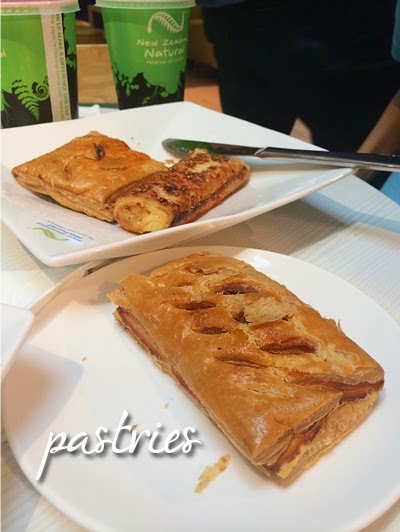 I didn't have anything to eat today so I decided to try their pastries, particularly the chicken rendang puff. The staff microwaved the puff before serving it to me so it was piping hot. Tasted like any other pastry you can find at cafés. The best part was they're not expensive, my chicken rendang puff is RM4. The flavor of the month was Affogato so two new additions made the menu today. 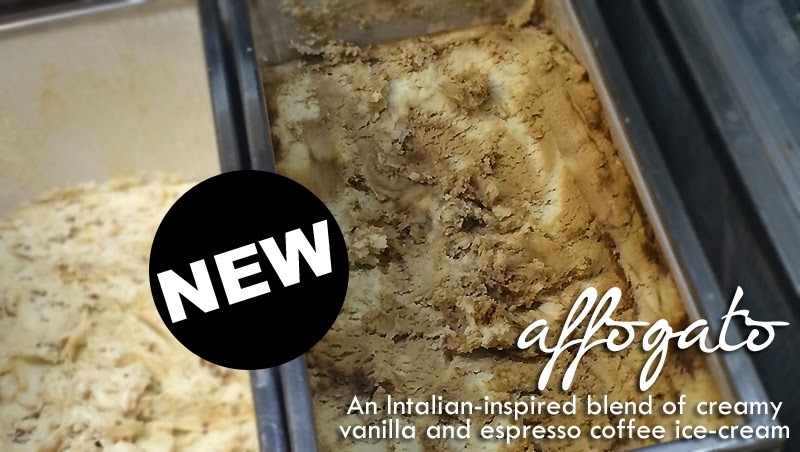 First Affogato is a Italian inspired blend of creamy vanilla and espresso coffee ice-cream. It tasted bitter which wasn't to my liking as I don't fancy coffee. My friends says it's good though and ordered the Double Affogato and Affogato Milkshake. 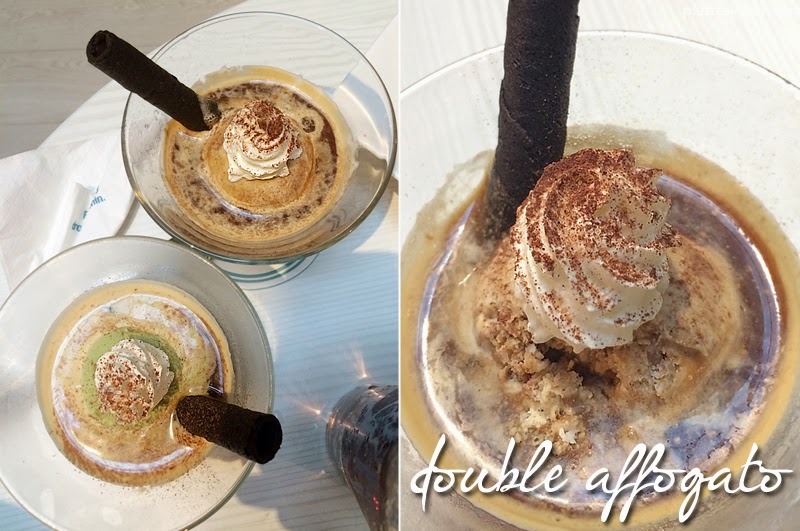 The Double Affogato uses Affogato ice cream with whipped cream, chocolate powder and a stick of dark chocolate waffle, pour all over with expresso (Illys). You can choose green tea ice-cream instead of Affogato to compliment the expresso. Double Affogato goes well with hot pastries! The Affogato Milkshake is a milkshake blend using Affogato ice cream, milk and chocolate powder. 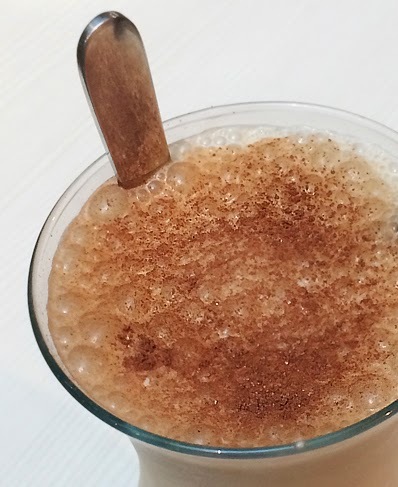 If you like ice-blended coffee drinks, this creamy vanilla expresso will be your favorite must try! I much prefer this to the Double Affogato because it's less bitter (for me). My all time favorite dessert selection is to have banana split. When my mom was pregnant with me, she craved for banana split so much, I'm surprised I didn't come out looking like banana split. 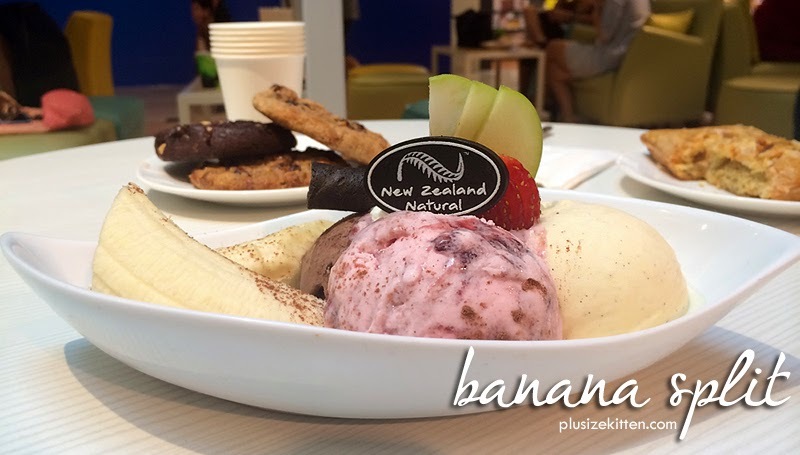 At New Zealand Natural, their Banana Split comes in 3 chosen flavors - Chocolate Ecstasy, Boysenberry Dream and Vanilla Classic ice cream. Plump juicy bananas was lovely! It wasn't overly ripe but I just wish there was chocolate sauce and nuts. All their sundaes comes with a chocolate piece with their logo. I took a bite :D and it was crunchy! We also tried one of the gourmet waffles here. I mean who wouldn't want waffles with ice-cream? It's so hard to resist! We ordered Waffle Dazzle which came with a scoop of our favorite ice-cream, on top on a crisp golden Belgian waffle, drizzled with honey and chocolate sauce all over and sprinkles of almond flakes like there's no tomorrow. I would die and go to heaven!. 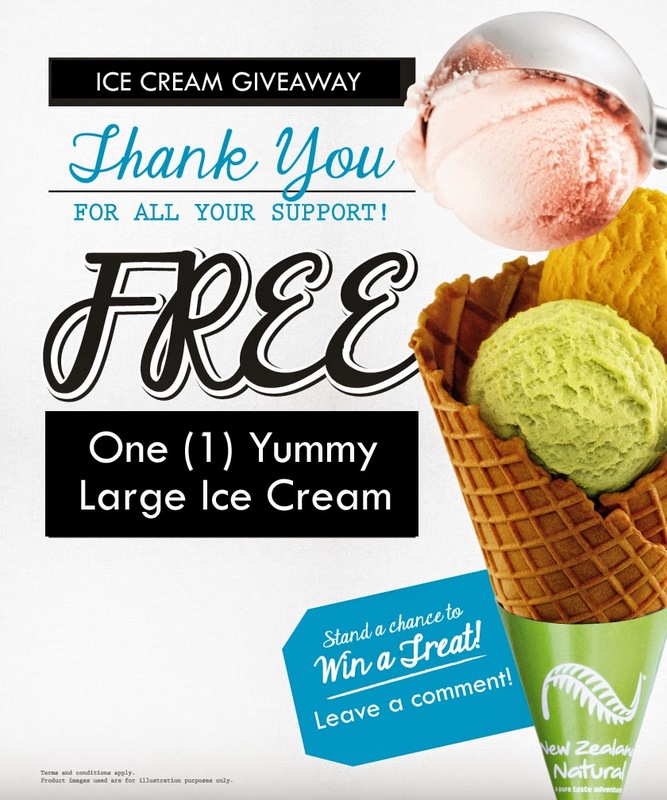 5 large ice cream cup/cone up for grabs! I hope you like my pictures and review of New Zealand Natural, Curve. Please do leave me a comment on what you think about the food shown here because I have in my hands 5 New Zealand Natural ice-cream vouchers for giveaway *yay*. 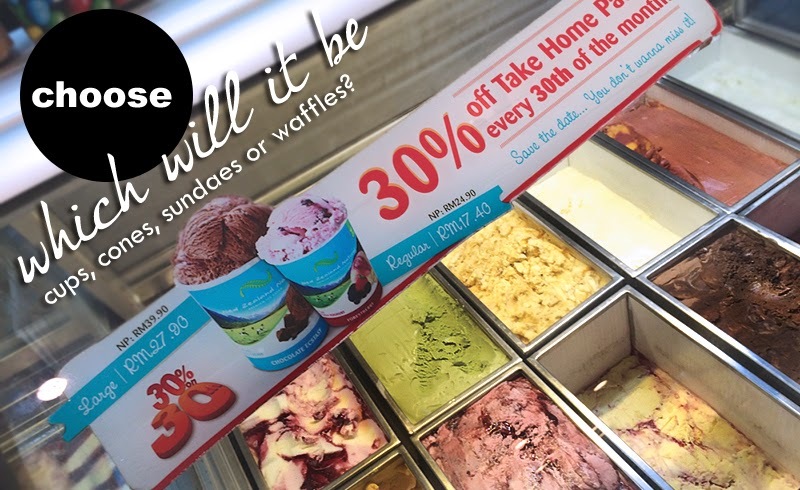 Each voucher entitles my reader to redeem for ONE large ice-cream in cone or cup (3 flavors) at any New Zealand Natural outlets. I'll personally post the vouchers to winners as well after the giveaway ends on 12th June, 2014. 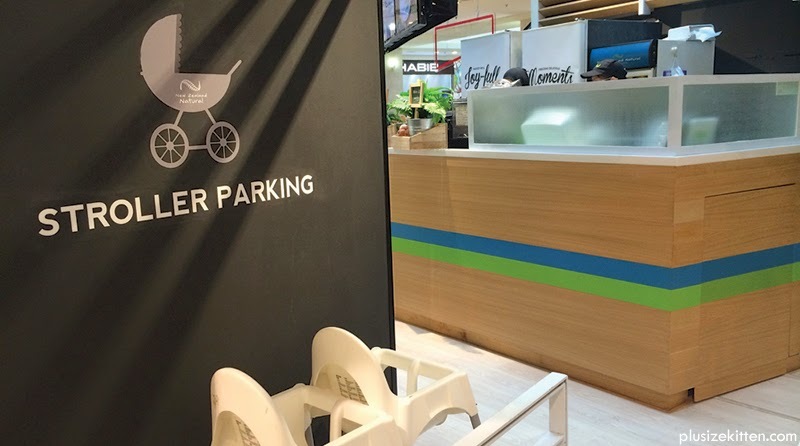 What do you think about the food at New Zealand Natural? 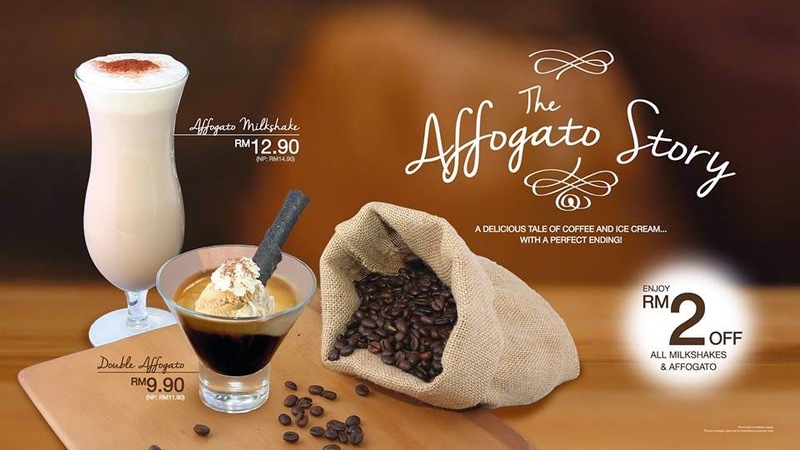 The Affogato Story Enjoy RM2 Off! For more information about New Zealand Natural (menu, current promotions) please visit their website at nzn.com.my. Don't miss out on a deal!. 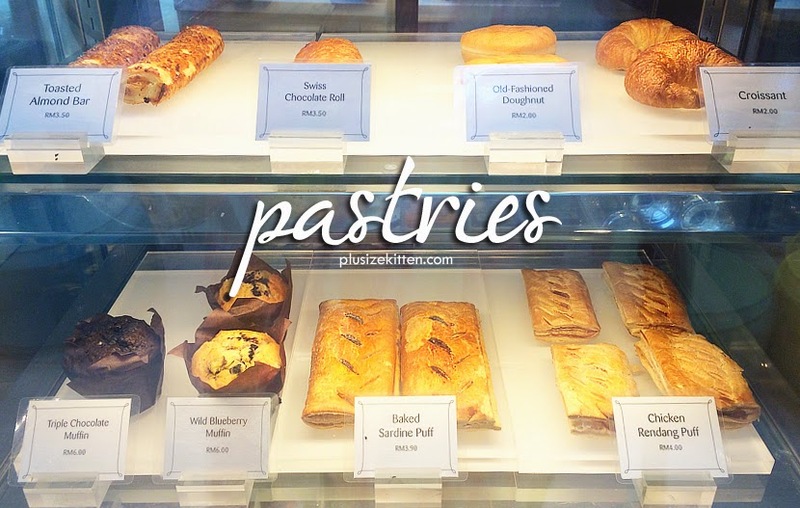 ~ I've only been there once before, I don't remember seeing pastries there at that time, but the ice cream was so yummy! I had the Boysenberry Dream and Chocolate Ecstasy so the Banana Split is calling to me! And affogatos! That's one of my (coffee) drinks of choice when I go to cafes so how cool would it to be able to have it with premium ice cream! And oh dear, brownies, soft cookies, and waffles! You're killing me! Now I definitely want to go back and savour the new treats! Congrats! 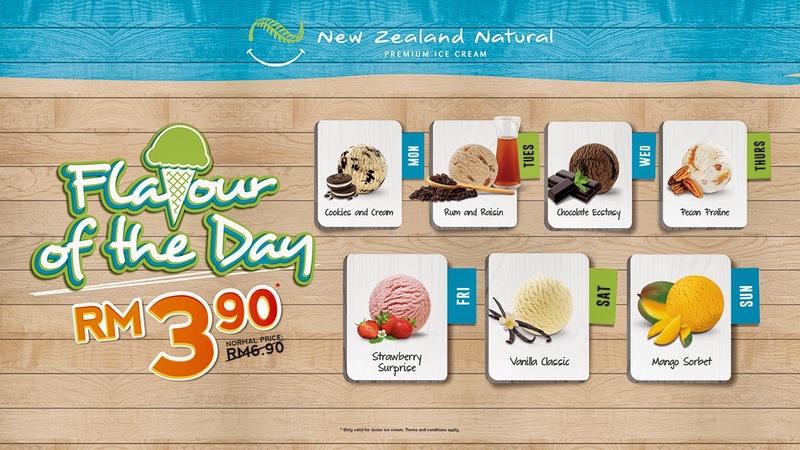 Nicole Yie, now u can go off and try your first yummy New Zealand Natural Ice Cream! :) high standard dessert store but affordable to the pocket and lips yum! Never have any NZN's food but definitely would like to try out! P/S: I've only tried one of the ice creams - I can't remember it's name but it's pink in colour! The other treats you have in your blog post made me drool. I'd love to try the Affogato and brownie temptation! Wow! 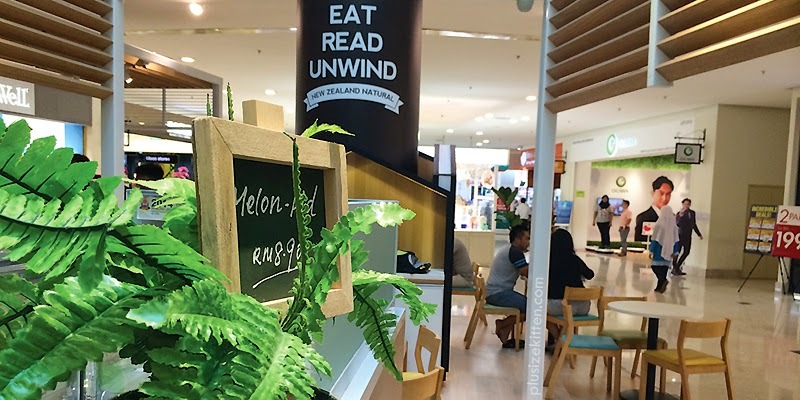 It's been months since I went to curve nor did I know that New Zealand natural has a new redesigned interior & a mini cafe serving customers delicious pastries, drinks & of course not forgetting their yummy ice-cream. Before I would only buy their RM3.90 promotion for my kids. Now with their new food menu, I definitely want to bring my kids to enjoy not only ice-cream but also other scrumptious food on the menu! 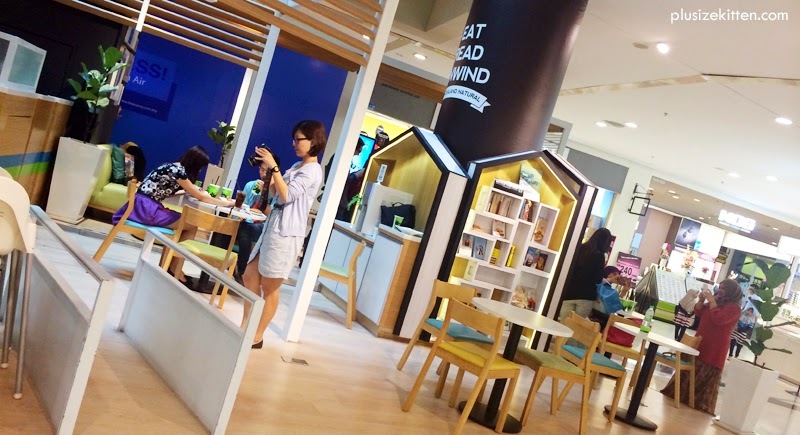 I want to experience in sitting in their newly design interior, enjoy the ambiance, sit back & relax & maybe pick up a book to read as well as I've heard that there is a book area too! A great way to enjoy a day with my kids! Your pictures are so mouth-watering! Brownie temptation looks so tempting, banana split looks extremely yummy! Pasties & waffles are my favourite too! Definitely need to make a visit New Zealand Natural soon! p.s Congrats you and your kids can share a large ice-cream (3 flavors) in a cone or cup to go!!! Ice cream! and it make me feel young again! What do you think about the food at New Zealand Natural? : I think i really like it because obviously the place to prepare the food is neat and clean. Everytime pass by New Zealand Natural kiosk my eyes will always left over there. My mind saying they served delicious ice-cream without artificial colors or flavors, its all natural. You can eat as much as you can without worried even though its ice creeeeaaaaammm! One thing interesting is they support everything to help our earth program. Love ice cream love natural love our earth! congratulations Megan :)) now u can go try the Affogato flavored desserts at New Zealand Naturals!!!!!!!!!!!!! I think the food at New Zealand Natural is great to be served during high tea, dessert, snack & chit chat session. congratulations Lenna Yeen :))) you've won yourself a voucher to eat your very first (if u haven't tried yet) NZ Natural Ice-Cream! I scream you scream we all scream at ICE CREAM!!! Those pics of the banana split looks so scrumptious that I am salivating at the sight of it!! Rainbow colours of the assorted ice-cream is so tempting, just a glimpse of it will makes anyone drooling!